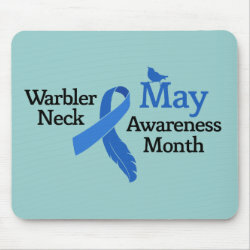 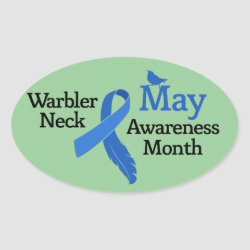 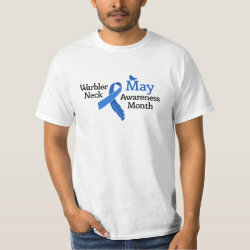 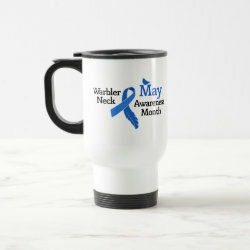 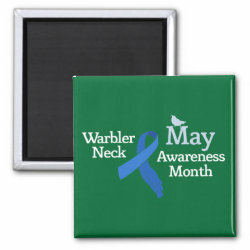 May is Warbler Neck Awareness Month! 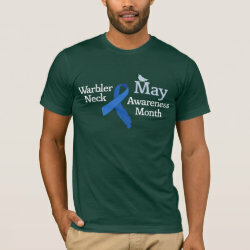 Show your support for all birders and spread awareness of the pain of warbler neck by sporting this original More... design. 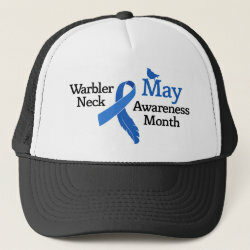 Central to the motif is the cerulean blue awareness ribbon which is partially transformed into a feather. 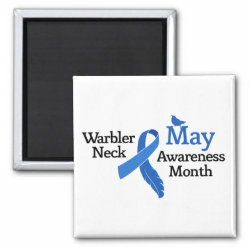 A warbler in silhouette, looking up, is also included in this design in support of Warbler Neck Awareness.